Chemical Peels are an effective way to improve a number of different skin conditions, targeting concerns on the face and body. Depending on your specific skin condition, a treatment can be tailored using our diverse range of chemical solutions. Chemical Peels work in a variety of ways to stimulate cell renewal, refine, rejuvenate and hydrate the skin, as well as regenerate and resurface damaged skin, making it well worth the cost. We offer a number of treatments in our Melbourne clinics, ranging from superficial to medium depth. The active ingredients we use include Alpha Hydroxy Acids (AHAs) – such as Glycolic, Lactic and Mandelic acid – as well as Beta Hydroxy Acids (BHAs) like Salicylic acid, along with Retinoids (Vitamin A), Niacinamide (Vitamin B3) and Enzymes. Chemical Peel treatments are useful in combating a number of skin concerns including sun damage, wrinkles, scarring, acne, and pigmentation and to maintain a fresher more youthful complexion. It may also be combined with Microdermabrasion, Skin Needling, Photo Rejuvenation or Laser Skin Therapy to provide accelerated and more dramatic results. A Chemical Peel is a versatile and customisable treatment that can be specifically personalised to your specific skin concern. The benefits of a Chemical Peel are dependant on the type of Chemical Peeling agent used and the skin condition being treated. Chemical Peels can exfoliate dry skin, deeply cleanse the pores, minimise breakouts, reduce superficial pigmentation, improve skin texture and tone, reduce fine lines and brighten a dull complexion. Chemical Peels are pain free, non-invasive and fast. They can be performed in a lunch break in as little as 20 minutes. They are also affordable for any budget, making them a suitable addition to your skin care regime. There are several Chemical Peel options available, each targeted for different skin conditions and concerns. Very superficial Chemical Peels remove only the very top layer of dead skin cells and only have a short period of minor cosmetic benefit. Superficial Chemical Peels dislodge blocked follicles and has an effect on the top layers of the epidermis, which may result in some post treatment flakiness. Medium-depth Chemical Peels are used to treat pigmentation, deeper congestion and ageing concerns. Deep Chemical Peels remove the entire top layer of skin and are used to treat scarring or significant signs of ageing – the recovery of a deep Chemical Peel may be several weeks to months and is not offered at Australian Laser & Skin Clinics due to the associated risks. Micro Enzymatic Peel, Reveal Peel, Retinoid Peels or Ageless Peel, Alpha-Hydroxy Acid (AHA) Peels / Glycolic Peels and Purple Peel. Who is Chemical Peels best for? The appropriate Chemical Peel can provide simultaneous actions to superficially treat: ageing skins, fine lines, wrinkles, pigmentation, acne (including blackheads and whiteheads), breakouts, dry / dehydrated skins and congested skin. What Type Of Peel Are There? Micro Enzymatic Peel –An ultra-gentle skin exfoliator that uses enzymes and only targets dead skin cells, meaning this peel is gentle enough to use on all skin types and conditions. It promotes a smoother, brighter complexion while hydrating and softening the skin. Reveal Peel – This powerful blend of 25% AHA (Alpha-Hydroxy Acid) and 2% BHA (Beta Hydroxy Acid) is an advanced skin peeling treatment that exfoliates and assists to even skin tone, restoring fresh, smooth and youthful skin. The reveal peel has minimal down time and helps to improve and smooth the texture of the skin, removing damaged outer layers and revealing the younger looking skin beneath. Retinoid Peels or Ageless Peel – Retinoids are the ingredient found in well-known skin products such as Retin-A. Retinoids help to increase the turn-over rate of the skin cells, making it behave more like younger skin. The Ageless Peel actively reduces damage caused by UVA exposure and is therefore an excellent choice for clients looking to reduce ageing caused by sun exposure. The main benefits of this Chemical Peel are the restructuring and rebuilding of collagen and increased hydration, resulting in skin clarity and firmness. Alpha-Hydroxy Acid (AHA) Peels / Glycolic Peels – Glycolic acid is derived from sugar cane, and lactic acid is a naturally occurring acid in the body. These peels may be performed at various concentrations, which in turn vary the strength of the peel. Their main function is to remove the top layer of skin, promoting renewal of skin cells and a healthy cell turn over which leaves your skin fresh and smooth. Purple Peel – This medical-grade, medium-depth Chemical Peel contains lactic, glycolic, salicylic and mandelic acid. An intensive peel, it is effective in renewing, brightening and resurfacing, which makes it the ideal treatment for severely pigmented and aged skin. The purple peel requires full skin preparation 3 to 4 weeks prior to treatment with specialised skin care products. This treatment is perfect for those with oily or acne prone skins, as it is oil-soluble and penetrates deeper into the skin. BHA Chemical Peels provide the most dramatic results for ageing, pigmented and problematic skin areas. The benefits include resurfacing skin by removing damaged layers, promoting healthy new cell growth, reducing pigmentation, normalising oil production and improving the appearance of acne scars, resulting in a youthful and clear complexion. 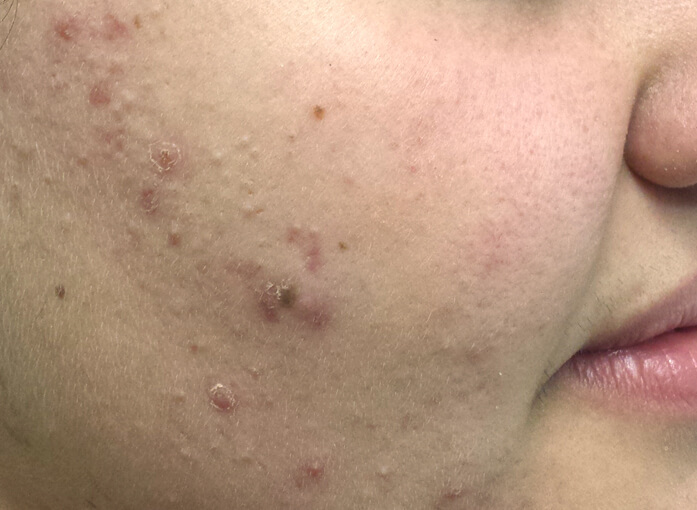 Are there any side effects after having a Chemical Peel? The deeper the peel, the greater the likelihood of experiencing side effects, with increased recovery time needed. Some side effects that can occur include swelling, redness and stinging. Most superficial peels are safe and effective, whereas medium and deeper peels require careful pre-peel preparation and post-peel care. Are peels just for the face? Not at all – parts of the body other than the face can also benefit from Chemical Peels, such as the chest and back for acne, or the neck and décolletage to help reduce sun damage. 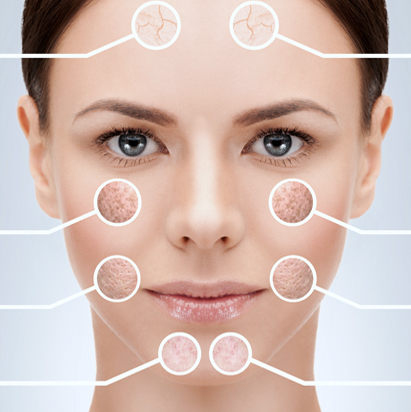 We can perform peels for multiple areas of the body at our Melbourne clinics. 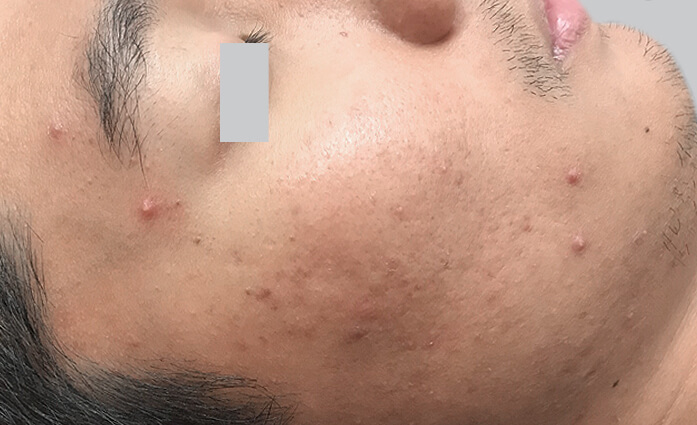 Can any skin type be treated? People with a darker skin tone might encounter more post-peel problems than those with lighter skin tones. Deeper peels on darker skin types must be considered with caution, so it may be better to perform a series of more superficial peels rather than one deep peel. Different skin problems also respond to different active ingredients. 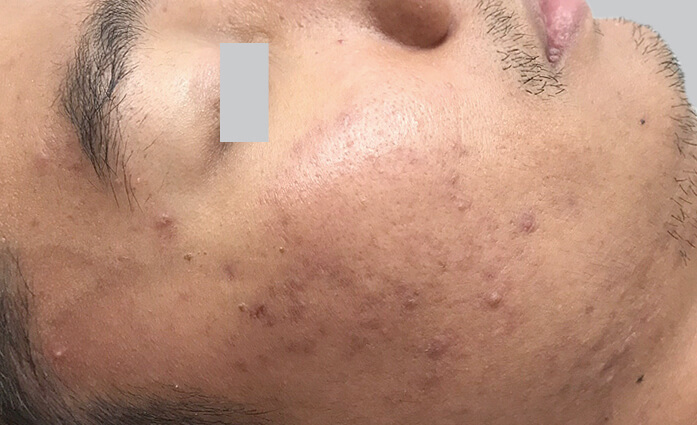 Acne, for example, responds well to salicylic acid based peels as it is both oil-soluble and penetrates deeper into oily and congested pores, removing dirt and sebum. Wrinkles are best treated with our Ageless peel, containing an anabolic retinoid action which corrects and enhances skin function for a long-term restructured and repairing effect. Choosing the right Chemical Peel for your specific skin problem means you’ll get more value from the cost of your treatment. We can determine the best Chemical Peel for your skin type at an initial consultation in one of our Melbourne clinics. For all peels – Cleanse once a day with a specialised cleanser recommend by your dermal aesthetician. For Ageless Peel and Purple Peel – Cleanse once a day with a specialised Glycolic cleanser. The use of specialised pre-peel products recommend by your dermal aesthetician is essential in order to prepare your skin for the treatment, reduce side effects and provide the best possible results. This skin care regime will build up your skin’s strength to obtain the treatment, help the skin peel more evenly and speed up the healing process after your peel. It is also essential to protect your skin from sun exposure and use an SPF30+ sunscreen every day. Post-treatment care will depend of the type of peel performed and your skin’s reaction to the peel. Our clinicians will be able to give you the right post-treatment advice that is specific for the type of peel you have had. After your peel, the skin will be tender and will need gentle care. Don’t Pick. The most important thing to remember after a Chemical Peel is to steer clear of picking, scrubbing or peeling the skin away yourself. 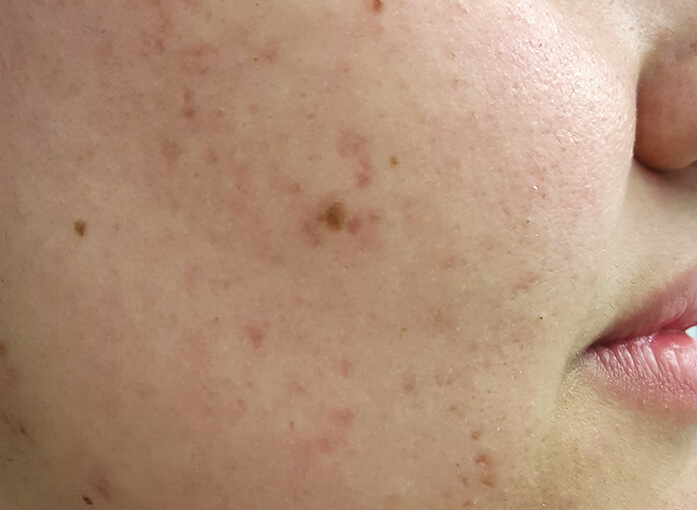 Removing the skin prematurely can lead to complications such as hyper-pigmentation. To gently remove dead skin the use of Skinstitut’s Enzymatic Micro Peel is recommended a few days after the peel is performed. Avoid scrubs, exfoliants and acne cleansers unless otherwise instructed. These products will only further irritate the skin, therefore slowing down the healing process. Again it’s essential to protect your skin from sun exposure. Make sure to use an SPF30+ or greater every day.